Plants on Westridge public open space, Somerset West (Keurboom Street) - Southern Africa : To document plants growing on this public open space. To assist municipality in planning mowing to not interfere with flowering and seed set. To document plants growing on this public open space. 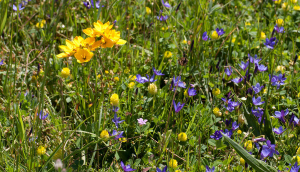 To assist municipality in planning mowing to not interfere with flowering and seed set.